In the course of its more than six-hundred-year history, the Ottoman Empire weathered rebellions and threats of rebellion from every quarter, both within the imperial capital and in its far-flung provinces. Mutinies and threats of mutiny were likewise not infrequent occurrences. 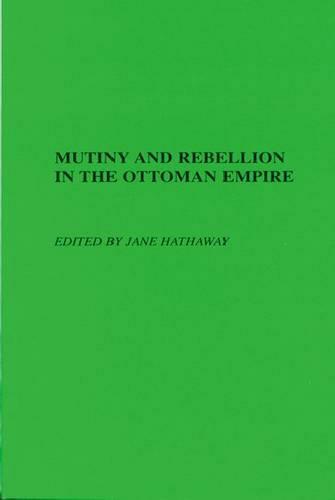 This collection of essays is the first collaborative volume devoted to the subject of rebellion, and more particularly, mutiny, in the Ottoman Empire. Regionalism and ethnic diversity were key contributing factors to mutiny and rebellion in the middle period, both within the Empire and without. A mutiny or rebellion provides a moment of social stress in which underlying societal tensions, and the state's ability to cope with them, stand out with unusual clarity. This exercise in comparing intra-Ottoman mutinies leads to broader comparisons between Ottoman and other societies, helping to break down the historiographical and cultural barriers that sometimes keep us from seeing that, beneath the outward trappings, one mutiny is often much like another.